The future is uncertain, which is why it’s a good idea to have a health insurance plan that you can rely on to protect you and your family against unexpected medical costs. Whether you’re new to purchasing health insurance and want to review CUA Health Insurance as a health cover option this article will provide you the information you need to make an informed decision. CUA private health insurance, distributed by Credit Union Australia Ltd, offers a wide variety of hospital cover and optional extras to choose from, giving you the freedom to choose the level of health care cover to best suit your needs and budget. We have reviewed and compared their Hospital and Extras cover options so that you can find the best value for your premium. ComparingExpert does not currently have access to this provider. Visit www.cua.com.au to request a quote and compare their price and benefits to the Australian private health insurance companies we have access to. CUA offers 3 main Hospital plans, including Premium Hospital, Standard Hospital, and Basic Hospital. You can also choose from 3 Extras options, including Total, Classic, and Essential Extras to ensure coverage for things like dental, optical and ambulance services. Take note restricted cover means you’ll only be covered in a public hospital with CUA’s choice of doctor. If treated in a private hospital, your benefits are limited to public hospital rates, as set by the federal government. Weight-Loss Related Services: Gastric banding and obesity-related services. Palliative Care: To relieve pain and suffering for life-threatening illnesses. If you are at the stage in your life when you’re thinking about starting your family and want to have your baby in a private hospital with your choice of obstetrician, you will need to get cover 12 months before being admitted for the birth. CUA’s Premium Hospital cover includes obstetrics, and comes with a choice of zero, $250, or $500 excess. Remember, your choice of excess will influence your premium amount, the lower your excess, the higher your premium. CUA’s family policies covers the main policyholder, spouse and any dependent children, including young adults. Cover for your children exists up until their age of 23 or 25 if they are full-time students. There’s no excess if your child is admitted to hospital. The health fund has included extra general dental benefits for dependent children to help make dental care costs more affordable. Hospital treatments for which Medicare pays no benefit, for example cosmetic surgery. Any items, like TV rental or phone calls that are not part of your agreed hospital charges. The patient’s portion that is applied to any nursing home-type. Claims lodged after two years from the date the service was provided. Products, services and treatments purchased overseas. Treatments provided by an emergency department. Any treatment considered an outpatient service. Services provided by family members. A waiting period refers to the amount of time you need to wait before claiming on a specific service on treatment. How do I claim from my CUA Healthcare policy? There are several ways to lodge a claim with CUA. If you’re claiming for Extras Cover, you just swipe your CUA Health policyholder card at the participating HICAPS provider. Claims relating to hospital treatments are automatically sent to CUA on your behalf. Alternatively, you can post your claim form and supporting documentation to your nearest CUA Health branch. The healthcare provider must be recognised by CUA Health. All Extras claims under $500 must be paid in full prior to claiming. You must have served the relevant waiting periods. Premium payments must be up to date. The service must have already been provided and paid for, meaning that you can’t claim for a service before it has been provided. You need to file your claim within two years from the date the service was provided. The Australian Government provides a rebate on your private health insurance expenses. This is part of their bid to encourage people to look after their health. This amount is determined by how much you earn a year and you can claim your money back in the form of a reduction to your regular premiums or as a tax rebate. In 2005, a self-regulatory code for health funds was introduced to ensure that everything is above board. 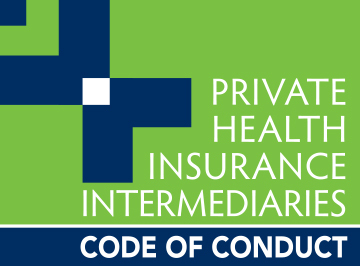 Essentially, the Code sets standards for training of health fund staff and others responsible for advising consumers about private health insurance. It also exists to manage the quality of advice provided to consumers and requires funds to have effective complaint handling procedures. If I already have a CUA product, do I get a discount? Yes, there are discounts for your health cover if you are a CUA Rate Breaker Home Loan customer. This discount will include one month’s worth of free cover on your health insurance from CUA each year. How does CUA help me keep my costs low? CUA Health promises to help you keep your health insurance costs affordable by giving you the option to choose an excess level you can afford. They also have agreements with some private hospitals and day surgeries to provide services at low or no out-of-pocket costs. It’s important that you consider all the benefits and exclusion before choosing a health care provider. It might be worth comparing CUA with other top health insurance companies to make sure you’re getting value for money. Who is CUA Health Insurance backed by or underwritten by? CUA Health Insurance is provided by CUA Health Ltd 98 098 685 459 (CHL). Unlike life insurance where your insurance application is underwritten by a specialist reviewing your individual circumstance, for example, your age, gender, health and smoking status; private health insurance companies must provide cover on the same terms for all members, regardless of your medical history. However, a 12-month waiting period will usually apply to any pre-existing medical condition. Are dental services (Implants, Crowns, prosthesis etc.) that are done overseas claimable from CUA Health? If so, how much is claimable? While health funds might provide Australia-wide coverage, Australian private health insurers will generally not pay for treatments or services received overseas. However, it’s always best to contact your insurer directly to inquire about their particular terms and conditions.